Jobs can be hard to find and at this time of year you have all the school leavers and university students looking for a job as well, for a casual *summer job* to full time work and at this time of the year finding a job can be that much harder. Many people find it hard just to get an interview – much less the job and that is because there is more competition. If you are looking for work you need to make sure you are on the right path – applying for jobs you are qualified for and can do. Three are so many different job opportunities – how to find them. That is the question – first look for the job you want – you want to work in an environment you feel comfortable in – after all job satisfaction is what you need. However don’t focus on just that *dream job* keep your options open and keep reminding yourself that for now, you may need to take any job you can to get by, while still searching for your dream job. 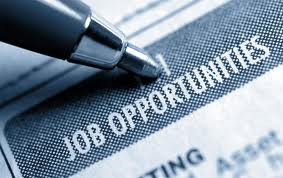 One of the best ways to look for job opportunities is via the Internet – from company websites to job search sites such as seek.com and careerone.com you can narrow your search to industry and location. Remember too that the local paper also contains jobs some which may not be listed on the Internet – so don’t give up on the newspaper completely. You need to be clear about what it is you want from working, is it money or career satisfaction you desire? Consider extra studies or a course to help further your career – you may even need to consider undertaking extra studies to compete in an industry you may find you’ve fallen behind in. Once you have found a job you know you can do and you are qualified for the work you will need to create a CV – if you haven’t done so already – this is the most important item you need when applying for a job. Try and tailor make your resume to fit around the criteria for the job – is it a private position, or one within the government? Highlight your skills that match the job – don’t fill your resume with hobbies – find out what job skills are needed and highlight what aspects of the job you can do. Apart from looking online for a job you can look through your local newspaper and apply for any openings – either in person, by mail, e-mail or by phone.